Passions blossom in Primavera 1938. This playful short dress blooms with a wild array of multi-colored floral beading, from start to finish. The bodice has a deep V-neckline, and spaghetti straps, which cross over the open upper back. The short, fitted skirt caresses your curves. 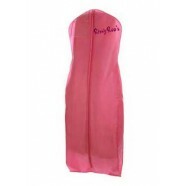 Have a romantic time in this dress at a homecoming dance, date night, or dinner party.